Start Screen Unlimited is a 3rd party free utility that empowers your Windows 8 Start Screen with a bunch of digital widgets floating around on top of your Start Screen. With Start Screen Unlimited, you can make your Start Screen show your favorite sports channel, add interactive menus, embed Google search, show digital or analog clock, or enhance the appearance of your Start Screen with anything you can imagine. Interested? 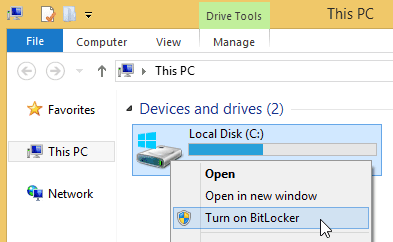 If yes, download the free software right from their website and install it on your Windows 8 computer. The utility will automatically launch itself. When you go to the Start Screen, you will notice some widgets showing up on top of your screen. By default, it loads up Power Control, System Menu, Direct Search, Favorites, Status Panel, and the digital clock. You can turn any one of them on/off from Configuration window. You can make your desktop Taskbar appear on the Start Screen as well as in Modern Apps, making them as part of your desktop the same time, to let you to keep track of all your running applications and seeing the notification area as well. 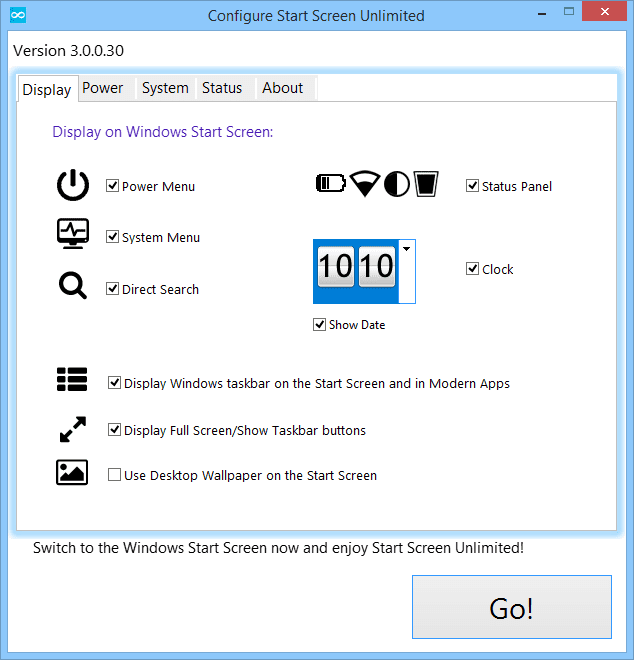 Start Screen Unlimited comes in two editions. The free lite edition greatly enhances your Windows Start Screen at no cost, while the Deluxe version allows for commercial use and adds feature that lets you to create some really cool sub-menus. 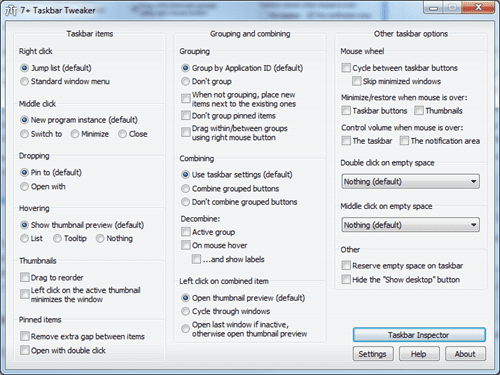 Overall, it works well and I can see it could benefit to those who use Windows 8 laptop/tablet. One thing I do notice during my test is that it doesn’t work well with my multi-screen desktop setup. But I guess that’s fine too because people with multiple screen or larger screen don’t intend to use Start Screen as much as those tablet users do.